Wonder Woman Release Post By The Toy Viking! 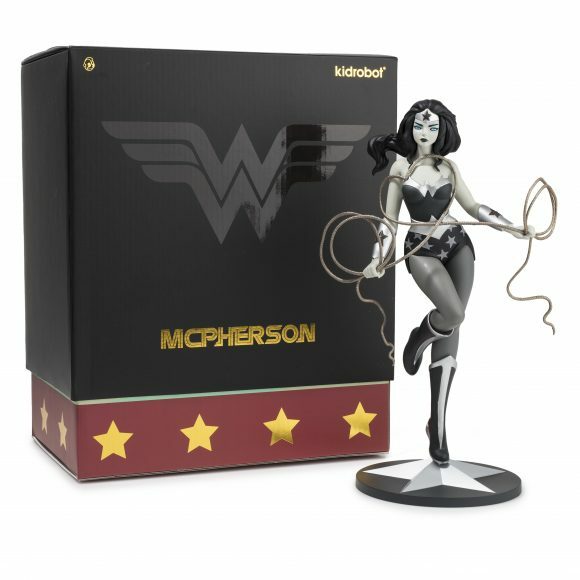 Excited for the new Tara McPherson Wonder Woman medium figure release tomorrow on www.Kidrobot.com? Here’s another post by our good friend Chis Holt aka The Toy Viking…. 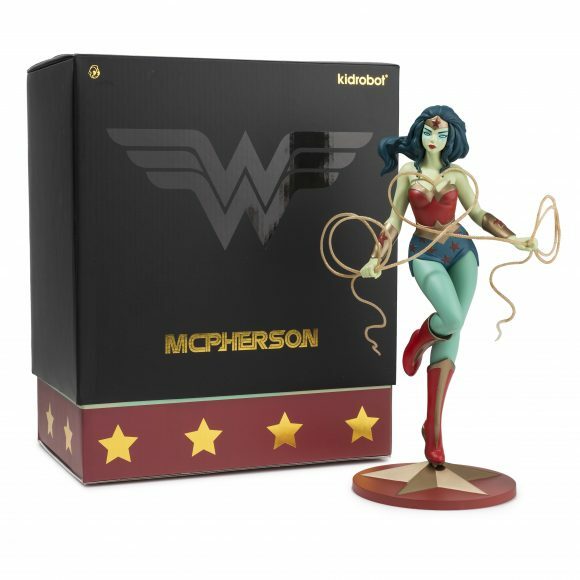 How amazing is this Wonder Woman figure from Kidrobot and Tara McPherson? Scratch that this is beyond just a figure, this is a work of art that celebrates one of DC Comic’s greatest characters. I’m beyond excited for this because I finally watched the recent stand alone film and I believe it is one of the best super hero films ever made. Hear me out on this one now. Not only was the title role perfectly cast, but there was an adequate amount of humor and innocence to make the story dynamic and help you identify with her. Plus she’s tough as nails and the battle scenes were beyond entertaining. If you weren’t at the edge of your seat when she was on the front line you better have a valid excuse like your legs fell asleep or you legit passed out from excitement. Wonder Woman is looking mighty fierce here, while simultaneously showing a softer side with her heart shaped lasso. Tara’s easily recognizable palette and design aesthetic bring the character to life in a way no one has seen before, offering as much freshness to her story as the aforementioned film. Available now at www.kidrobot.com, this piece will certainly be the talk of your collection for years to come.